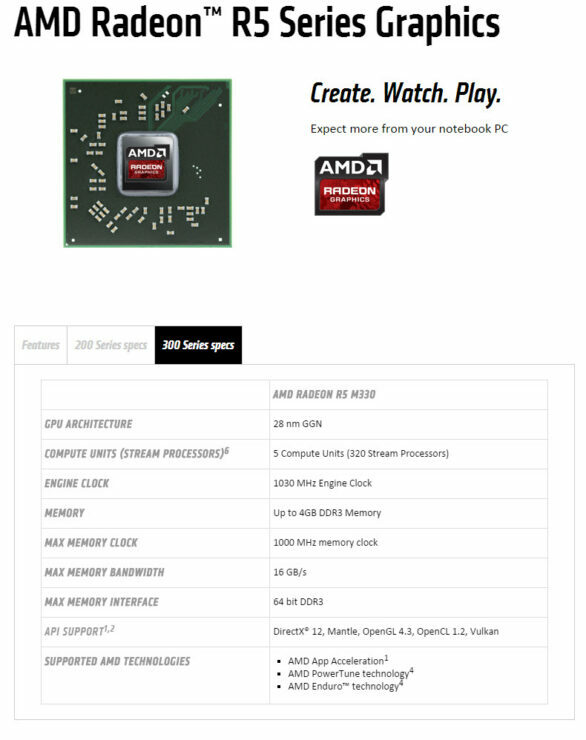 AMD has officially announced two new mobility lineups at their financial analyst day conference which includes the newly launched Radeon M300 series mobility lineup of graphics chips and the 6th generation Carrizo APUs that will be fused in high-performance notebook designs that ship during the next quarter. 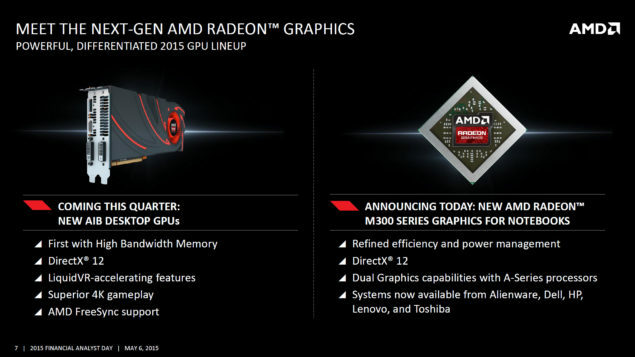 The announcements were part of several products which AMD unveiled during the presentation which includes their Zen, K12 CPU cores and even high-end HBM powered graphics processors which will be launched between 2015-2016. 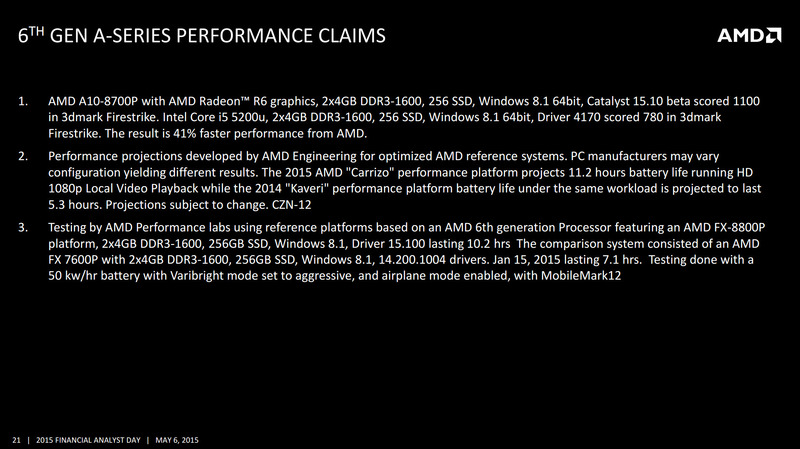 AMD did a massive run down of juicy details on several products which they have planned for the upcoming years. We will have a technical analysis posted on the details shortly however, for now we want to give you a brief run down of what was unveiled on the mobility side of things. The first and most juicy bit is that AMD has confirmed that their 6th generation Carrizo APUs will be launching for high-performance notebook during the next quarter. This means a lot for the market since it has been some time since AMD last visited the mobility sector and Intel recently upped the game with their Broadwell generation of 14nm processors and will give a second update with Skylake during the next couple of months. Coming to the architecture of the APU itself, it was expected that like Kaveri before it, Carrizo won’t be a revolutionary chip. It is based on the current iteration of GCN architecture and the Excavator core itself is a more enhanced and derived form of the construction cores which started with Bulldozer in 2012. So we are looking at a nominal 5% IPC gains from the new Excavator cores which shows AMD is following Intel footsteps in this field with the blue team also offering a similar IPC improvement on their latest 14nm Broadwell Uarch. The die is still based on a 28nm node yet AMD has managed to optimize the overall chip design by adding 29% more transistors than Kaveri thanks to the high-density design library. This results in a 3.1 Billion transistor die that delivers 40% lesser power consumption and 23% lesser die area than its predecessor. The H.265 encode support allows 3.5 times transcode performance of Kaveri while the compute architecture enables the 8 GCN compute units (512 stream processors) a reduction of 20% in power consumption. 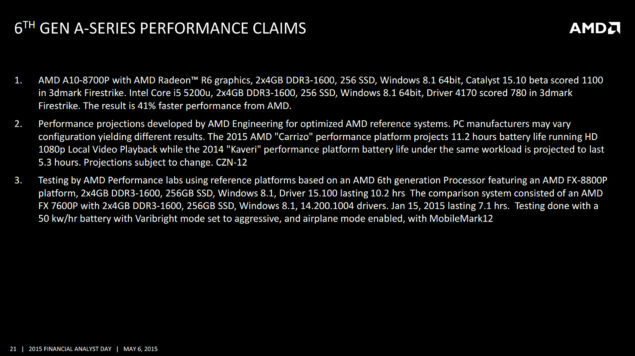 AMD talks of a double digit increase in both the performance and battery sector however they are no where near the gains we expected earlier from Carrizo. In terms of size, the Carrizo die measures at 244.62mm2 on the 28nm node while Kaveri measures at 245mm2 on the same process. The difference between both chips is that Carrizo ups the transistor count to 3.1 billion from Kaveri’s 2.41 billion count. The sudden reduction in the size of the die even when adding more better x86 performance was due to the fact that Excavator cores are smaller than Steamroller cores, measuring at just 14.48mm2 with a core transistor count of 102 million transistors. The L1 cache has also doubled on Carrizo to 32 KB per core from 16 KB. The overall core structure has 690 million transistors crammed in one partition while the rest of the transistors are dedicated to GCN cores that utilize HSA and compute engine advantage in general purpose computing environments. Full details of the Carrizo APU were already covered during the ISSCC presentation a few months back. The second announcement is a major one since AMD has officially launched their Radeon M300 mobility graphics lineup. There’s no specific details regarding these chips except that most of the mobility chips may still feature older graphics processing units and featured inside OEM systems from Alienware, HP, Dell, Lenovo, and Toshiba. 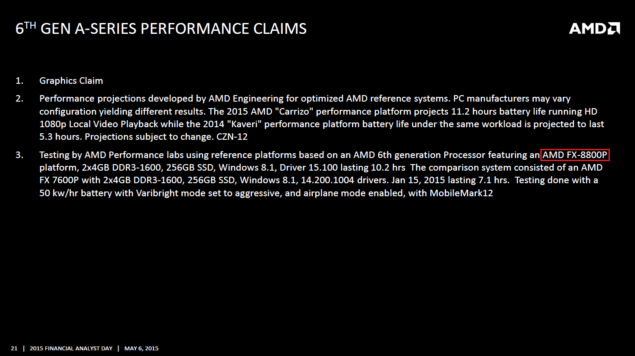 The chips will feature refined efficiency and power management features along with DirectX 12 support and Dual graphics capabilities on supported AMD A-Series processors which will include the next generation Carrizo APU based systems. 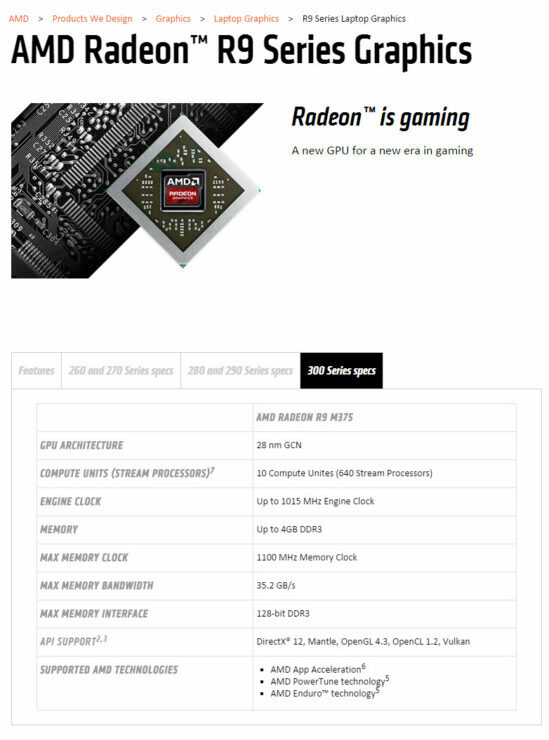 Some specifications of the Radeon R5 and Radeon R7 series chips confirm that they will feature 1-2 GB of DDR3 memory across a 64-bit interface. 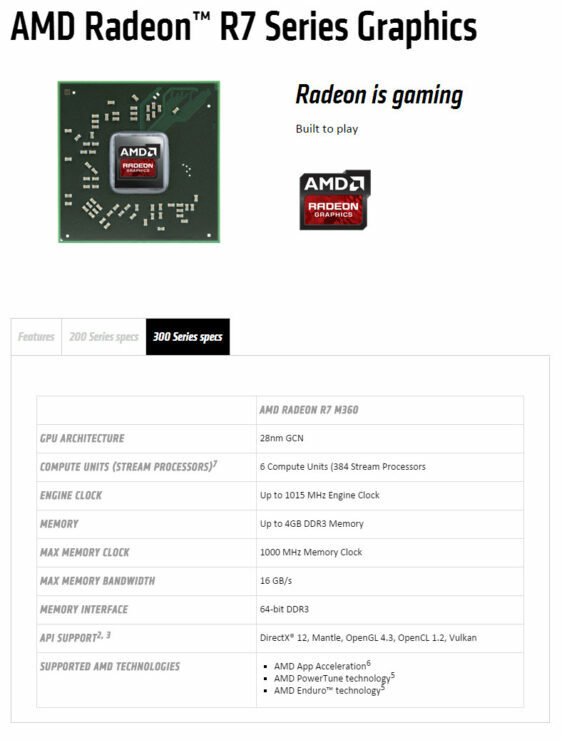 The mid-tier Radeon R7 series chips will give a choice of either DDR3/GDDR5 memory choices (1-2 GB) along a 64-bit or 128-bit interface. 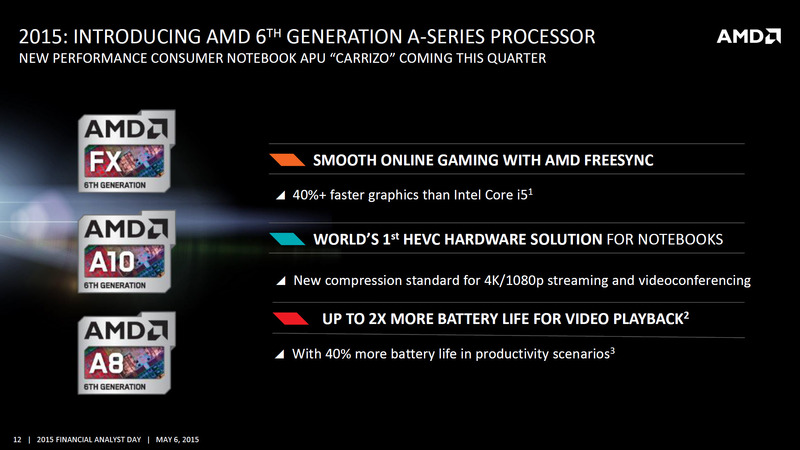 The top chips will have 4-8 GB of GDDR5 memory running across a 128-bit or 256-bit interface. No other specifications can be confirmed ata the moment but a few benchmarks of the Litho Pro/XT and Strato Pro/XT chips which are the internal codenames for the soon to be launched chips were reported a few months back.